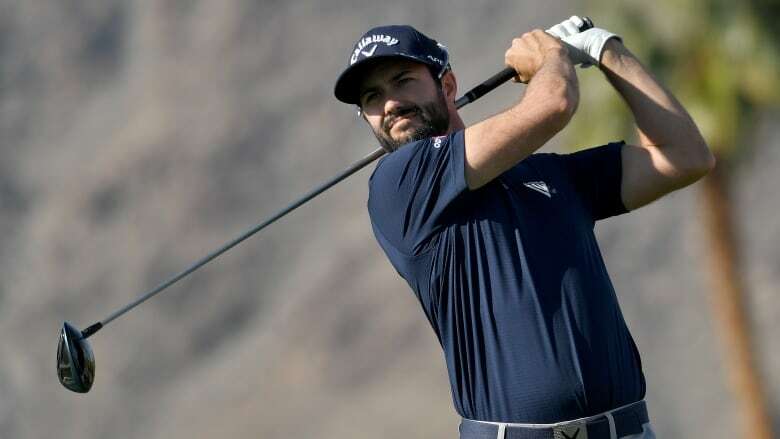 Canada's Adam Hadwin shot a 6-under 66 Friday to remain near the top of the leaderboard at the Desert Classic. Hadwin, from Moose Jaw, Sask., and Steve Marino were 13 under, three back of leader Phil Mickelson. Hadwin had a 66 at La Quinta, the course where he shot 59 two years ago. Marino had a hole-in-one in a 65, also at La Quinta. A day after matching his career-low score with 12-under 60 at La Quinta Country Club, the 48-year-old Mickelson had a 68 on PGA West's Nicklaus Tournament Course to reach 16 under. The tournament winner in 2002 and 2004, Lefty will play the final two rounds on PGA West's Stadium Course.